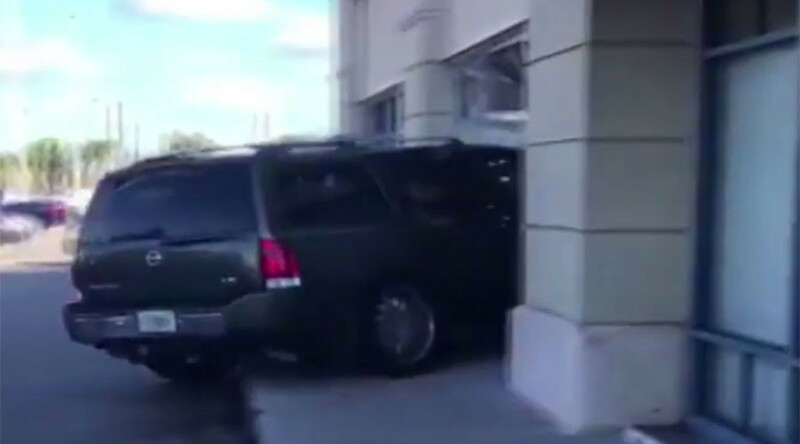 Police were called to a T-mobile outlet in Palm Springs, Florida on Friday after reports that an SUV had smashed through the front window of the store and the driver had begun assaulting staff members. The driver of the vehicle, Shinobia Wright, 25, was taken to hospital for injuries sustained while smashing a display case during her violent outburst once she had ‘parked’ inside the store. One employee suffered minor injuries when Ms. Wright assaulted them while attempting to gain access to a store room in the rear of the building. Ms. Wright had entered the store moments before the incident took place demanding a replacement for her damaged phone but her erratic behaviour raised employees’ suspicions. Police do not suspect drugs or alcohol had any involvement in the incident. 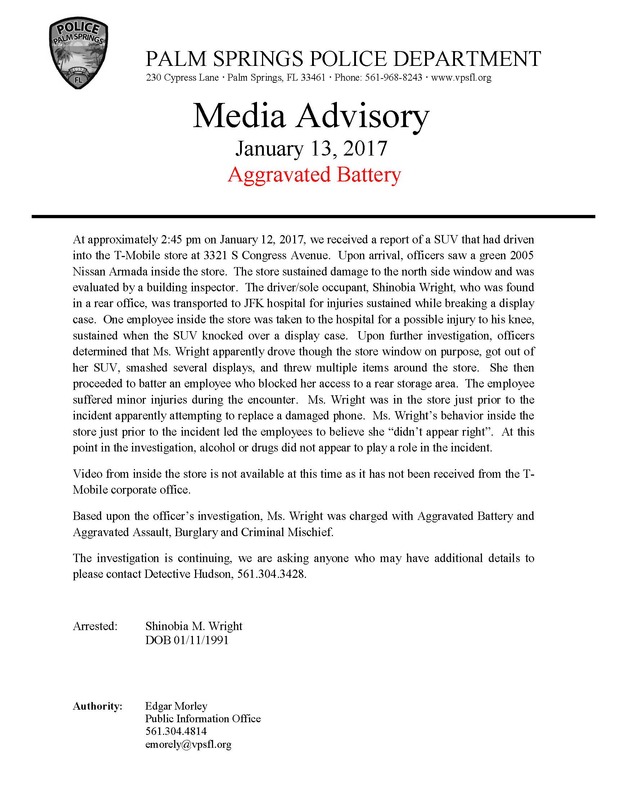 Ms. Wright has been charged with aggravated battery, aggravated assault, burglary and criminal mischief according to the Palm Springs Police Department.